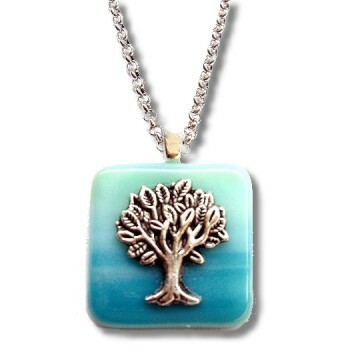 The Bible refers to the Tree of Life in this verse – “Blessed are they that do his commandments, that they may have right to the tree of life, and may enter in through the gates into the city.” Revelation 22:14 This is a powerful verse that reminds of our inheritance as believers when we walk in obediance to Him. 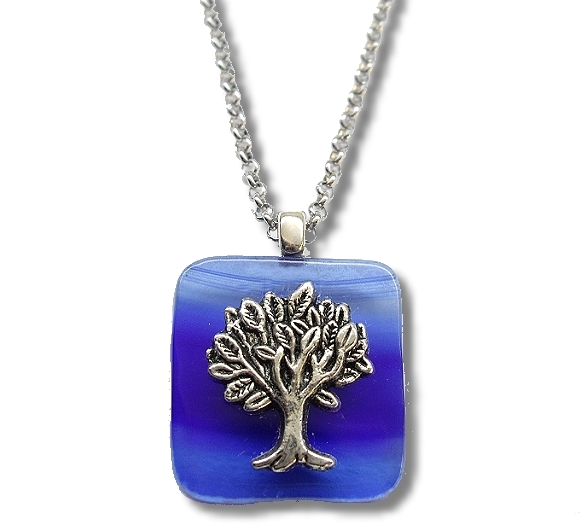 This handcrafted art glass pendant features a tree medallion on fired art glass. 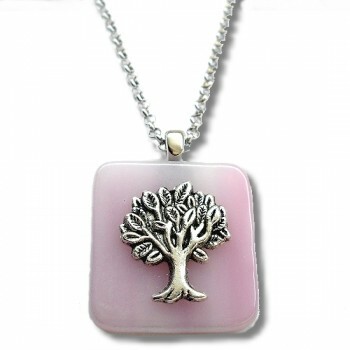 Each pendant is unique in the color patterns in the glass. 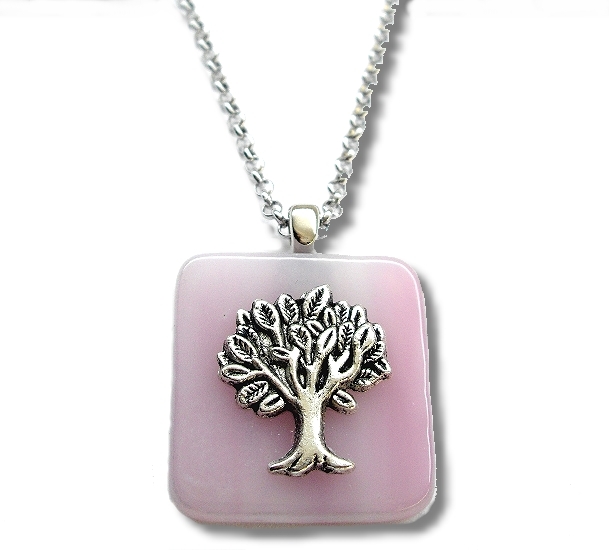 The pendant average size is one inch square. 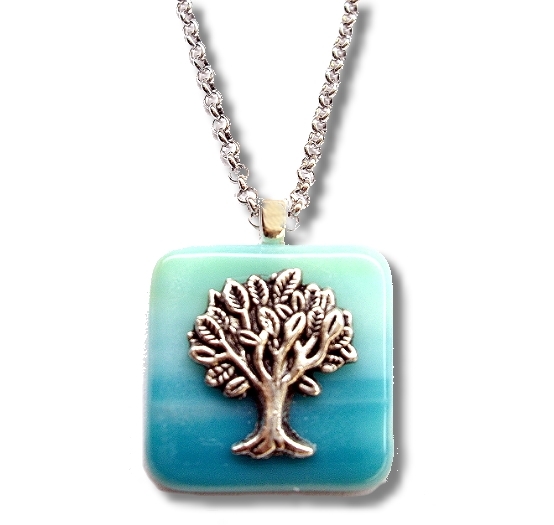 You may select from three color choices – Cobalt Blue, Peaceful Pink, or Harmony Turquoise. 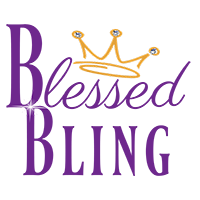 The pendant comes with your choice of a stainless steel rolo 20″ or 24″ chain.